Christian Moerlein is getting ready to debut cans of their new Third Wave IPA and Purity Pils. These cans feature new branding designs for Moerlein in new package formats. But this is more than just a new IPA and a new look for Moerlein. I recently sat down with Marketing & Events Director Jesse Folk and Vice-President of Brewing Operations Eric Baumann to discuss these changes. When we last left the Christian Moerlein company they had closed down due to prohibition. With the return of legal drinking in America the company did not return. Other Cincinnati breweries including Hudepohl, however, did. By 1981 Hudepohl had bought the rights to the Moerlein name and released the Christian Moerlein Select Lager. This was exciting both for the return of a Cincinnati brand but also because it was the first American brewed beer to fully confirm to the reinheitsgebot. The reinheitsgebot is a 1518 Bavarian purity law limiting beer ingredients to water, hops, and malt. Yeast was not included since it had not yet been discovered, you can go learn more on the reinheitsbegot at my post from last year. That remained the state of Christian Moerlein for almost 20 years, we’ll hit the next stage in its history later this week. For now, onto the OTR Ale! 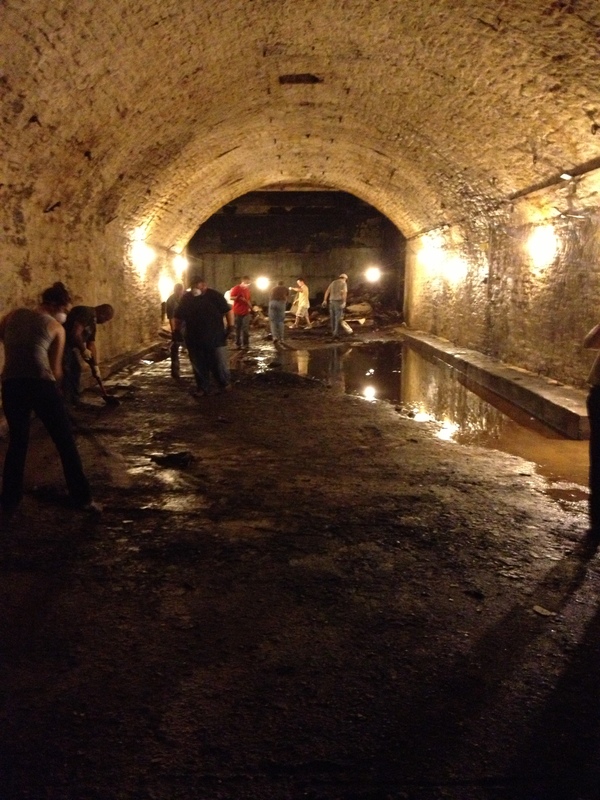 New lagering tunnel discovered in Cincinnati! Author Tom AgueroPosted on September 13, 2013 Categories Beer, CincinnatiTags Archeology, beer, Boston Beer, cincinnati, Discovery, history, Hudepohl, Lager, new, otr, OTR Brewery District, over the rhine, Over The Rhine Brewery District, Travel, Tunnel9 Comments on New lagering tunnel discovered in Cincinnati!